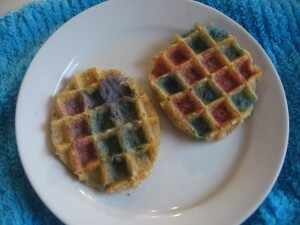 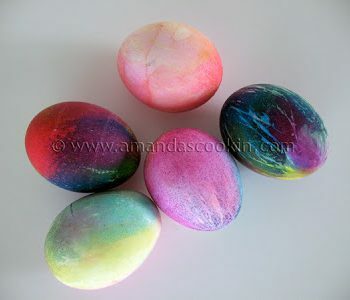 Mix it up this year, and tie dye your Easter eggs. 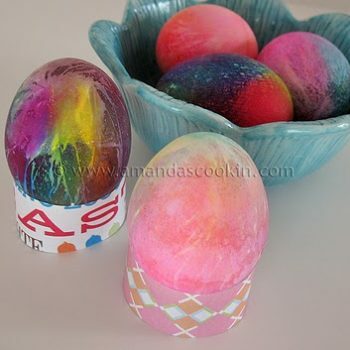 It’s easy and so much fun! 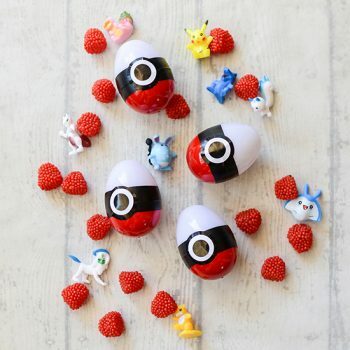 Make these Pokemon-inspired Poke Ball Easter eggs for your favorite Pokemon fan. 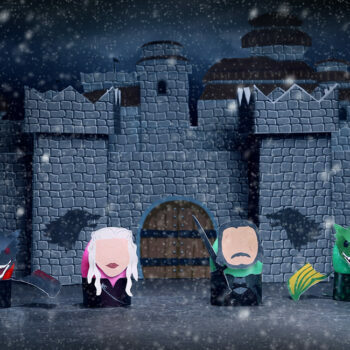 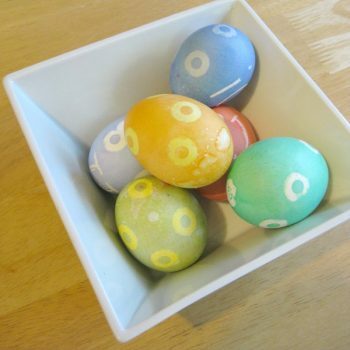 Gotta find them all! 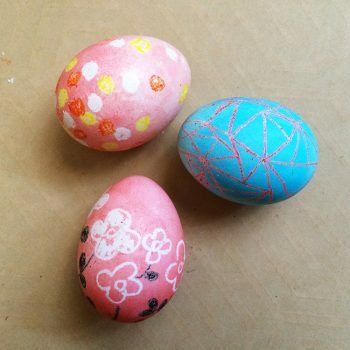 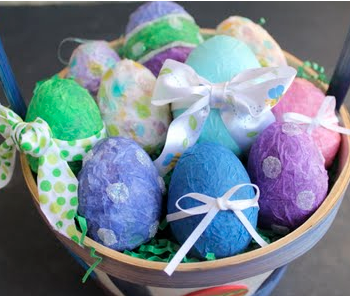 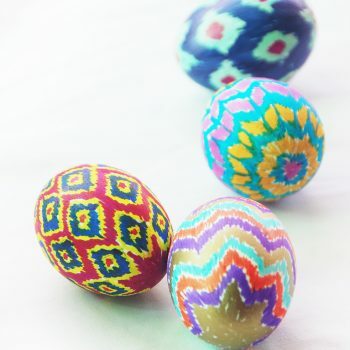 Decorate Easter eggs inspired by the patterns and vibrant colors of Ikat fabric. 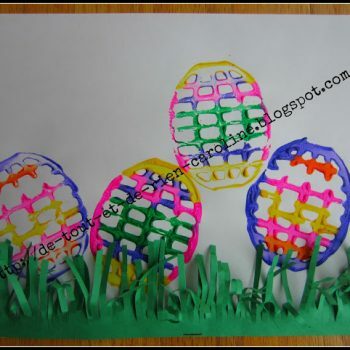 Learn how to make easy and beautiful toothpick paintings with your kids! 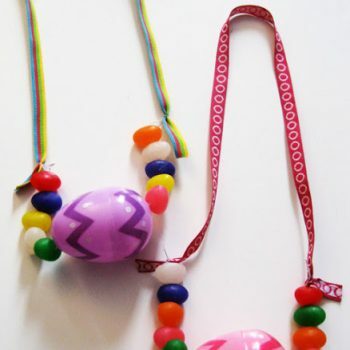 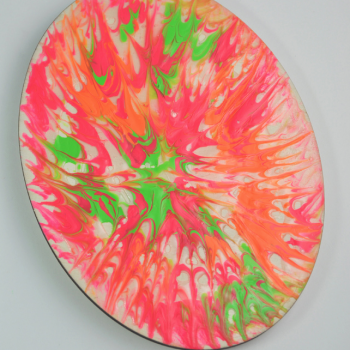 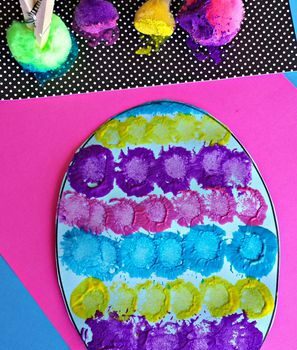 Trick for an Easter egg design easy enough that younger kids can do it but cool enough for older kids. 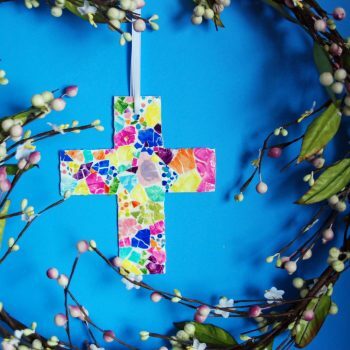 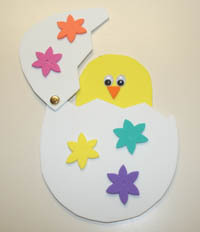 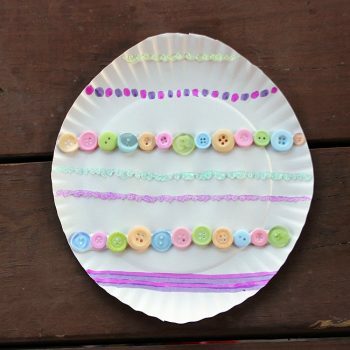 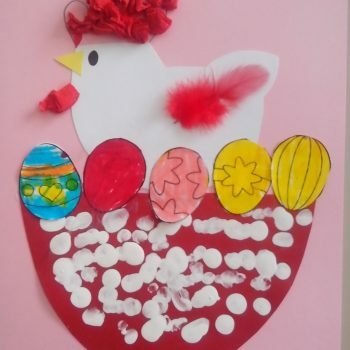 Kids will love making this fun Easter craft from construction paper and other colorful supplies. 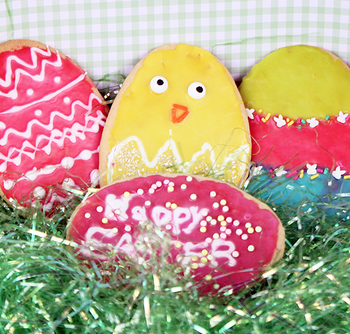 Make it a gift in a cookie cutter! 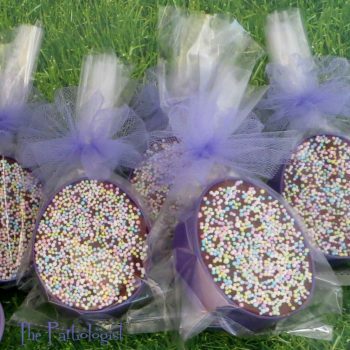 Here’s a recipe for tasty fudge shaped like an Easter egg. 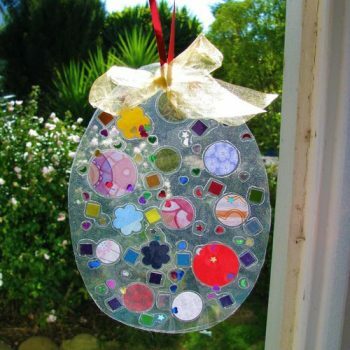 This is a great project for younger kids. 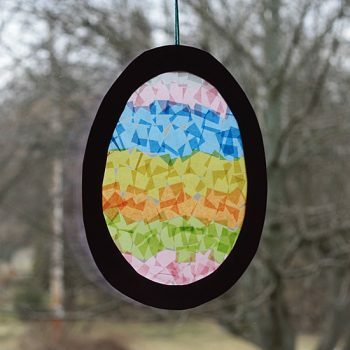 They’ll love how the light shines through the colored tissue paper! 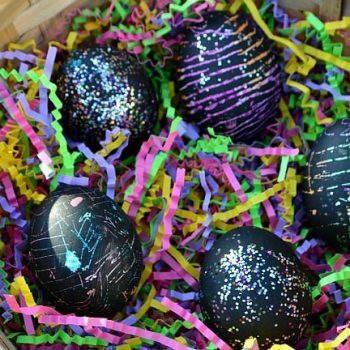 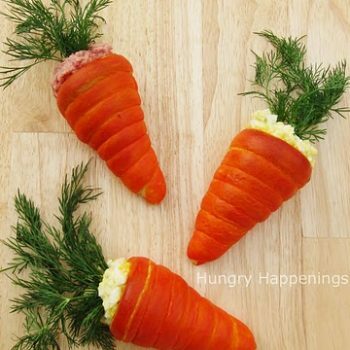 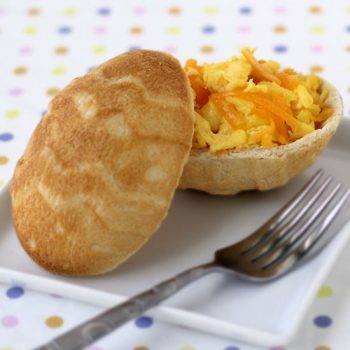 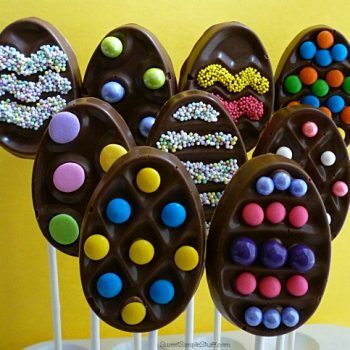 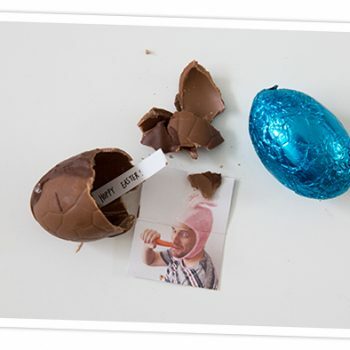 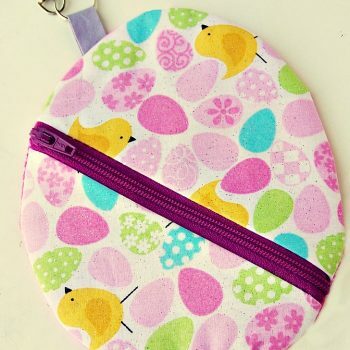 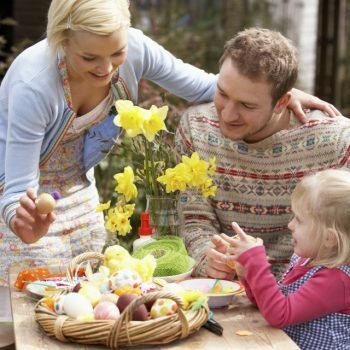 Looking for something fun and different for this year’s Easter Eggs? 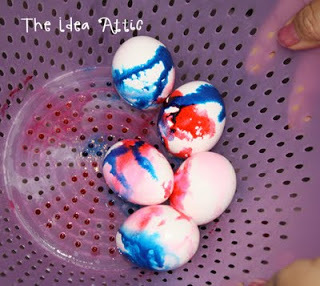 Try this easy tie-dye method!